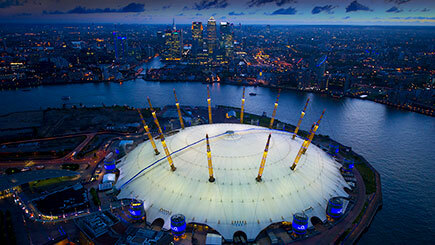 See your favourite concert venue from a whole new perspective with a bungee jump experience next to the iconic O2 arena in London. 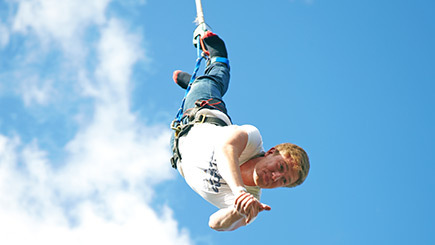 This unique bungee experience takes place within the venue's car park from a 160 foot crane, and you will have the stunning London skyline including Canary Wharf and the River Thames as the backdrop for your bungee jump. After you are fitted with a jump cord and a waist and ankle harness, an instructor will carry out thorough safety checks, before you are led to the crane lift. 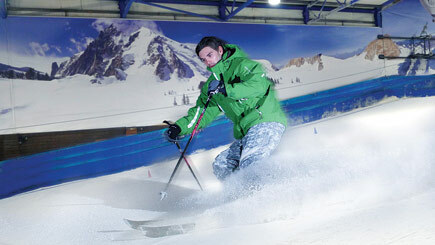 Once at the top, it's now your time to shine - simply take a deep breath and count 3..2..1.. bungee! Don't forget to smile for the camera that will be filming you, so that you can buy video footage of your bungee jump on the day. Weekend dates around once a month throughout the year.